Transferring files to and from a Chromebook is very easy. There are several different techniques that can be used to move files between Chromebooks and between Chromebooks/Other Computers. Fortunately, Google has pushed out a new stable release of Chrome OS, adding native support for the widely used Media Transfer Protocol (MTP). You can transfer files to and from your Chromebook with a USB flash drive. As far as USB cables go, there are two basic methods for transferring files between two devices. One is called USB Mass Storage, and the other is called MTP (media transfer protocol). Chrome OS supports both, so using things like external hard drives and USB thumb drives should work like you would expect, as well as smartphones/tablets. Note that you cannot transfer files between computers with Bluetooth on Chromebooks. There are many different software applications that will allow you to transfer files between a Chromebook, Android phone, iPhone, or another computer. 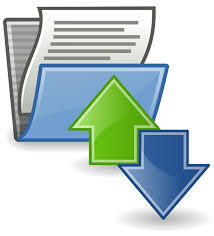 Below are some of the most popular ways to transfer files with software. AirDroid is recommended by PCWorld, BGR, LifeHacker, CNET, Gizmodo, XDA, Phandroid and many more technology media/websites. Google Drive provides cloud storage, and web based apps for creating documents, spreadsheets and presentations. Files stored in Drive can be accessed from any device at anytime (assuming internet connection is available). Google Drive is probably the most common software that Chromebook users use to store and transfer files. Google Drive is included on your Chromebook. You can easily install Google Drive on other computers as well and this will make transferring the files very easy. You can also install DropBox on other computers to easily move files to a Chromebook.